In the 2017 I/O developers’ conference, Google talked about the previously announced features in its latest Android release, Android O, talking about the faster, more fluid experiences and improved notification management that it has to offer. What Google did not talk about, was the name given to the new OS. It's still the mysterious Android O, with an available beta that's easier to install and is much stable than the developer preview. Up in this post I am going to review the best features of Android O, discuss the biggest updates since Nougat and cover any issues faced while testing it on the Google Pixel. Without further ado, let's take a look at the features we are most excited about the new mobile OS. 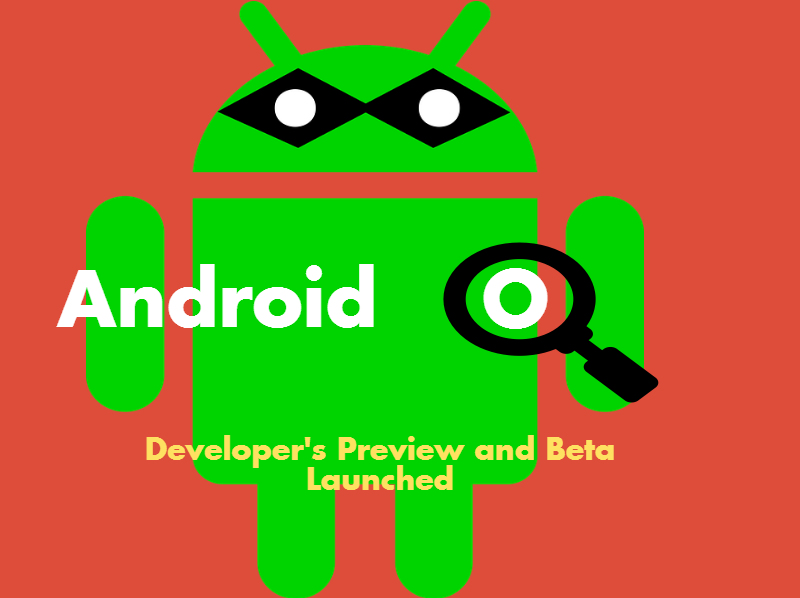 The Android O official beta is now available to the public, with Google sending it's Android O beta program live shortly after the I/O 2017. Installing it is a slow process, and it is worth noting that it is still an early-stage release so the software can/will still be extremely buggy. Only a handful of Google-made devices are eligible for the beta. The devices include the Nexus 5X, Nexus 6P, Nexus Player, Pixel, Pixel XL and the Pixel C.
Before downloading, make sure you backup all of your data, as installing the Android O Beta may wipe your phone. Go to Google's Android O Beta Program page by following this link. Sign into your Google account. If you don't, you may need to sign up to the Beta Program separately. Once signed in, Google will check eligibility for your device.If it is, you will be prompted to install the beta. Ensure a good WiFi connection and follow Google's prompts to proceed. Once you are all set and ready, future beta updates will arrive OTA. During the I/O 2017, Google said 'O' would come later in the summer, which is exactly the same as Android Nougat last year. After its official release, more Google devices should get the upgrade, with Android O set to feature in Google's upcoming 2017 flagship, the Pixel 2. A notification tweak is the biggest overhaul and also one of the most talked-about features in Android O. A lot of the improvements were made in Android Nougat. The new overhaul is even sweeter, which makes notifications even neater, tidier and easier to respond to. For a start, one of the attractive features include how expired notifications disappear on their own. You don't have to flick away old calendar reminders. Once a time-sensitive entry is ignored, Android will ditch the notification all on its own. In the Android O Developer's Preview, I had come across a feature where I could snooze notification when needed, which is a pretty neat and useful feature. My beta version, however, did not appear to have this functionality. So far, you can only snooze reminders through Google Now, rather than the notification bar. But still, you get plenty of control over notifications inside the Android settings. For example, you have the option to swipe a digit down the fingerprint sensor to pull down the notification bar, much like the Huawei's handsets recently. The addition is great for bigger handsets, which is very much the trend these days, as reaching the top of the screen with a single hand may not always be an easy task. Although, the feature was actually introduced in Android 7.1.2 Nougat,but Android O may be the first chance of most of the user's to test it out. Android O has introduced the dot notifications feature, which seems to have been borrowed from iOS' s 3D Touch. Any apps with waiting notifications now appear with a dot above their desktop icon. Long pressing the icon will show you a glimpse of the unseen content inside. Android O offers more control over you apps than ever before, so you control what your apps have access to. Mind you, there are some apps which don't work at all if you deny even one its permissions. Just enter into the new Apps and Notifications setting menu and you can see your current app permissions setup, which shows you exactly which apps can access the main phone components, such as the mic, camera and contacts list with options to grant and revoke access to individual apps. Android O also offers up a Special App Access menu, where you can make use of certain Android features, which include access to do not disturb, picture-in-picture and device admin features, as well as other resource management. You also have the option of changing default apps for a specified task, such as web browsing, or messaging and calling. Night Light in Android O is essentially LiveDisplay of Android Nougat, but with some tweaks which allows you to set the time for it to activate. A lot of smartphones nowadays come with a blue light filter. This makes the colour temperature of the display nice and warm, reducing eye fatigue for more comfortable late-night viewing. Android Nougat was given a big overhaul to increase the battery life of phones and now, Android O promises even better battery life than before, due to a number of behind the scenes changes in our apps and their background privileges. In other words, apps are no longer allowed to run when out of sight and drain the device's battery. Tapping into the Battery Usage section of the settings will show you which apps are consuming the most energy, and exactly how long you have actually used each app since last charge. Poke an app that is sucking your juice and you can see precisely how long it's been active while not being used. If the app is sucking too much of your juice, you can disable its background privileges with a single tap. But Google's battery optimisation is turned on by default for most of the apps, and it seems to be working as none of the apps ever drained my battery. In fact, the Pixel lasts for well over a day of heavy usage, which is a remarkable change from the original one-day of usage when the Pixel first shipped with Nougat. This is a completely new feature of Android O. The Picture-in-picture mode allows you to watch a video or continue a Duo face-to-face chat in a mini window, while using other apps. LG's flagship phones have already given us this kind of functionality, but now all modern Android phones would surely come with that feature built-in. Sadly, we could not get this to work on our Pixel with the Android O beta installed. Head into the Apps and Notifications section of the settings menu and tap Special App Access and you will find a picture-in-picture option. This allows you to grant access to the feature for Chrome, Duo and YouTube. However, even with all those activated, the feature was not working. Trying to remove the previous app updates and force restarting them also went in vain. I hope the feature works with future updates as this is still a beta program. Android O has given a literal facelift to those dated emojis, offering a fresh set of redesigned,expressive icons. The emojis are more traditional than the semi-melted visages of Android Nougat, with rounded faces. You get a massive selection to choose from, including the steaming turd. Android O, with all its changes and additions, is now better than ever. It saves a lot of you phone charge, has better memory management, and is now more polished than any other version of Android. Thumbs up to those who are going to get Android O update. And for those of you with devices that won't support official Android O update, well, LineageOS is there for you! Well, that's all I got. Now it's your turn. What do you think the most important feature of Android O? And what do you think can be some other upgrades that the final version will have? Share it in the comments!